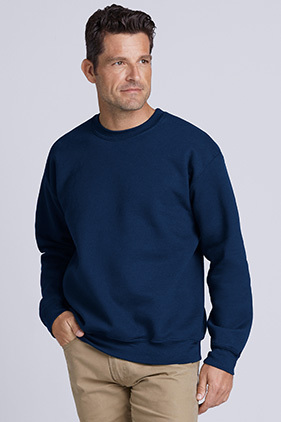 50% cotton/50% polyester 9.3 ounce pre-shrunk set-in sleeve crewneck sweatshirt with moisture wicking properties. Double-needle stitching. 1x1 rib cuffs with spandex for stretch and recovery. Air jet yarn for extra soft feel and reduced pilling. Heat transfer label.